Arizona Diamond Center has been a family owned jewelry business for over 36 years. They specialize in men’s heavy gold chains, affordable bridals and Pure grown diamonds. Arizona Diamond Center has been servicing the community of the Valley of the Sun for over 36 years. Starting with only 4 family members in one small store. They have now grown to employ over 30 team members. Standing out from the rest, AZDC stands out by offering same day repairs by one of their 3 Master Jewelers, they offer the greatest value in hand-selected diamonds, and their own warranty program created just for their client's needs. 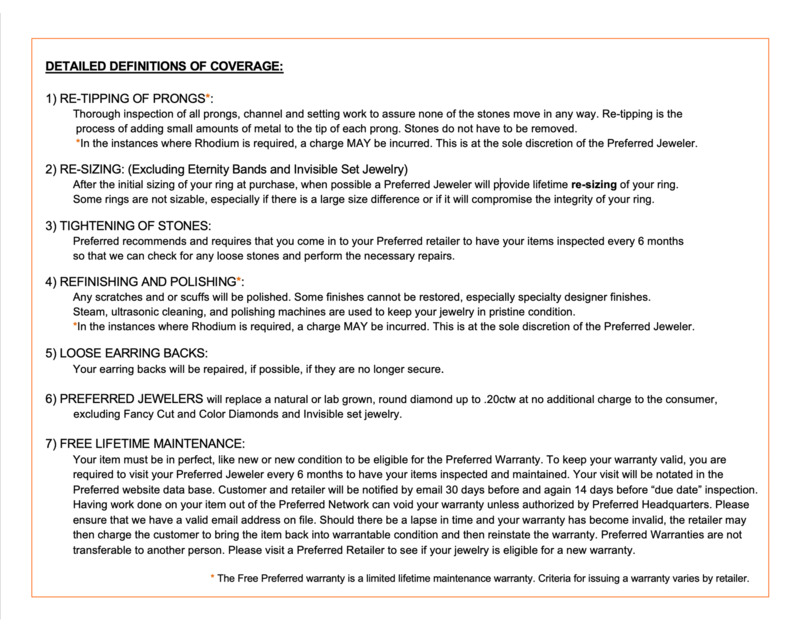 Their warranty will even cover diamonds not bought in their stores. Call the store for details. Selecting product and staying current they have a buying team that attends multiple conventions and jewelry shows throughout the year to learn about the newest styles, technologies, and products. This allows them to stay up to date on industry standards and the customer buying experience. Every item in their individual stores is hand selected by their experienced buying team for each location. This is why they can have such confidence and success in their hand-picked merchandise. AZDC's courteous professional staff are always available to answer any questions or inquiries and would love to assist you with all your jewelry needs at your request. Their expert staff gemologists are also on site to thoroughly explain every aspect of a diamond and other gemstones to help you make the right decision. As a local jeweler and family-owned store they also offer estate jewelry at all of their locations. Their collections will include one of a kind pieces, and unique jewelry designs and are continuously changing and growing everyday. Since 1982, Arizona got engaged with Arizona Diamond Center to create a special moment with its unmatched collection of Anniversary Bands, Anniversary Rings, Bangles, Bracelets, Bridal Collection, Bridal Jewelry, Certified Loose Diamonds, Chains, Diamond Engagement Rings, Earrings, Men's Wedding Bands, Necklaces, Pendants, Wedding Bands and Wedding Rings. Arizona Diamond Center is known for their "while you wait" laser jewelry repairs in its three different locations - Phoenix, Tempe and Mesa in Arizona. 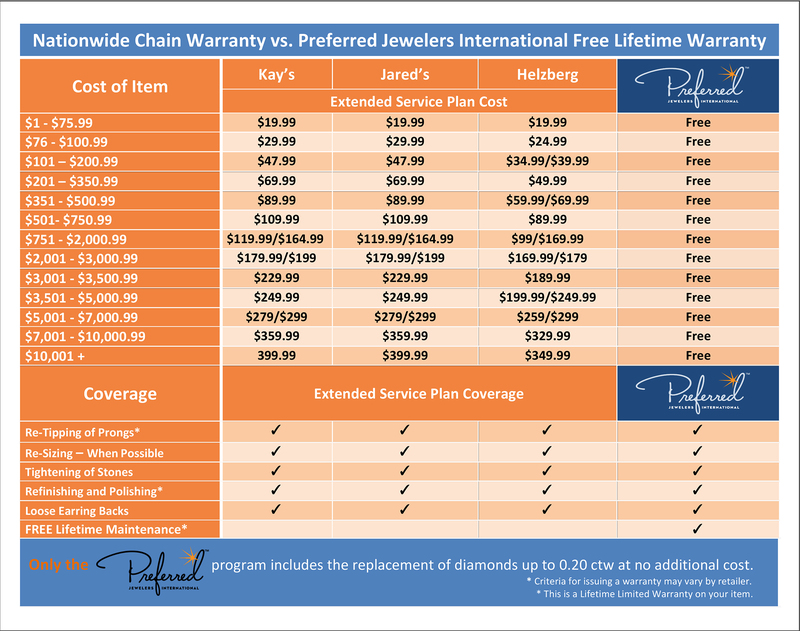 As Preferred retailers they can now also offer you the FREE Lifetime Nationwide Warranty program and even more Experiences that last a Lifetime™.